If tacos are your temptation, sneak into the East Village's Borrachito, a tiny taco joint tucked away at the back of The Garret East – a cocktail bar. Tequila and tacos? Now we're talking. Only eight tables fill the petite restaurant, and the menu is as small as the dining. But every item is spectacular, from their fresh ceviche to their succulent short rib tacos. Start with a bowl of guac and round out the meal with some corn ice cream with deep fried duros. There's loads of flavor packed into this pint-sized place! Sushi, sashimi, sake, oh my! 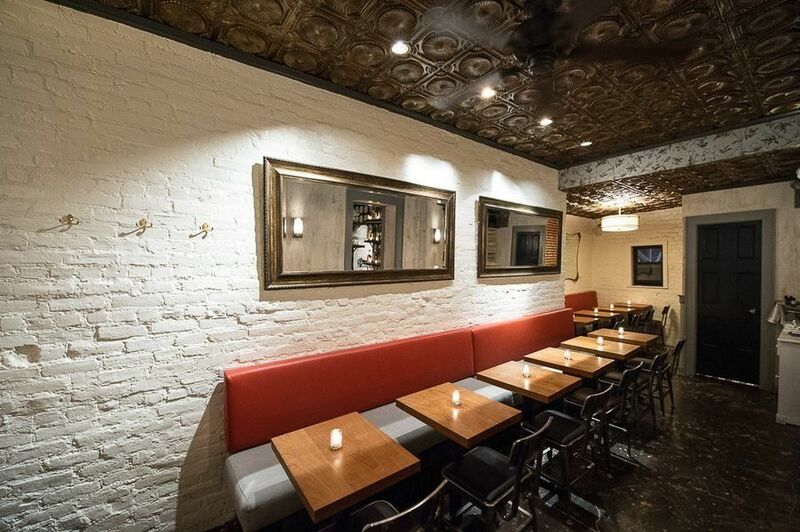 Bar Masa is one of NYC's finest sleek spots - pricey but perfect. Attention is paid to every detail, the eats are exquisite, and the experience is one you won't soon forget. New York magazine gives a visual, "The narrow, softly colored room comprises a long bar and a single, similarly long, Ultrasuede banquette, separated by linen curtains and a row of coffee tables." 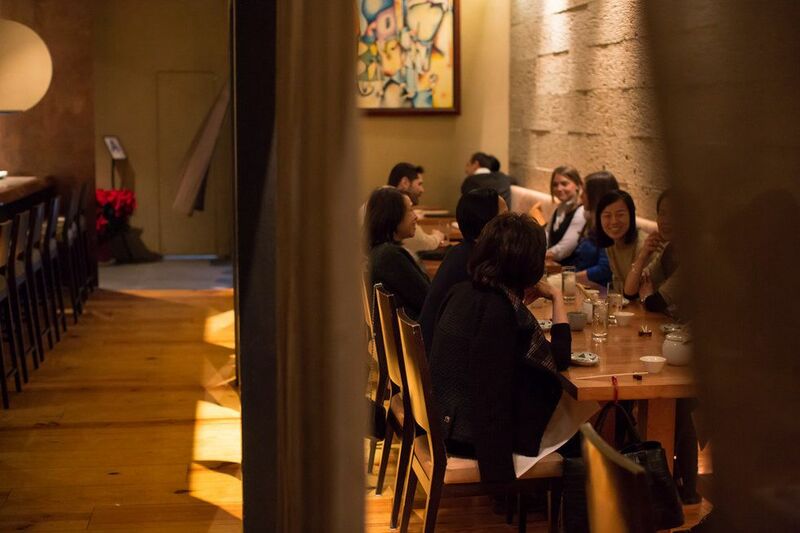 Open Table considers Bar Masa "a refined, modern Japanese bar and restaurant." If you have a culinary sense of adventure and the finer things in life please your palate, Bar Masa takes Japanese food to places you've only dreamed of. Sleek and chic, Wallflower has received rave reviews from some of the most notable critics of cuisine. As Tasting Table describes the dining destination, "The jewel box space reveals itself slowly: a teensy marble bar up front, the cozy, warmly lit 28-seat dining room beckoning beyond." From their unique cocktails to their French country-style menu, this slim space may not seat many, but every guest is glad to be there. As per Untapped Cities, "(Wallflower) features a seasonally rotating menu, which allows for different experiences on different visits." Start with tuna tartare and move on to tagliatelle. Then, come back again to try something new. In the mood for some Asian food that's fun and flavorful? 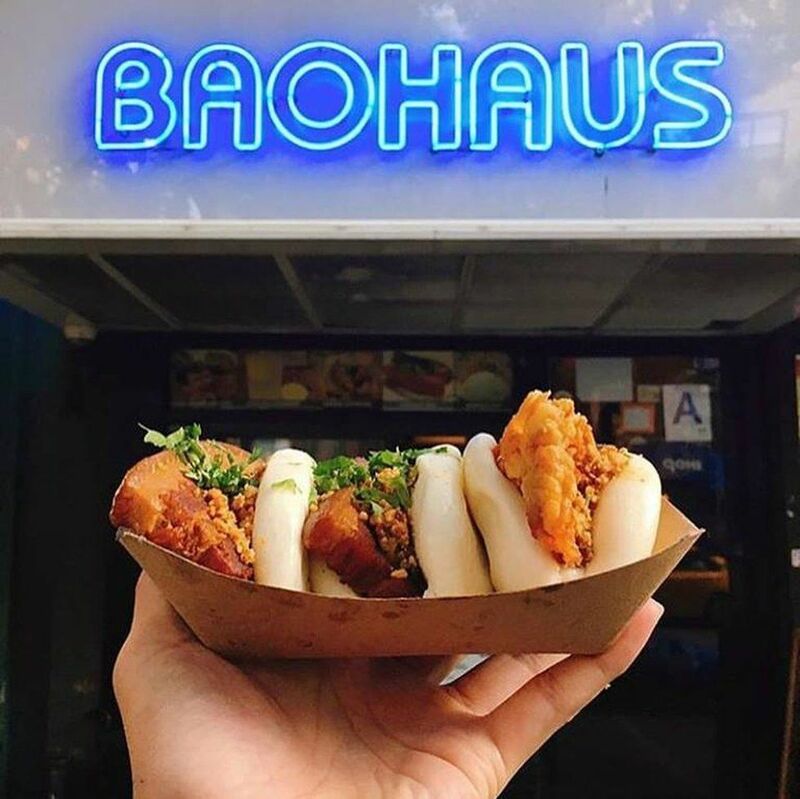 Baohaus may be small (just 400-square-feet) but the pork (and chicken…and fish…and tofu) buns are drawing in big crowds…if they can snag a seat. The New York Times calls Baohaus, "A tiny sliver of a space – customers squeeze around a wave-shaped, kitchen island-style counter." And while the menu is considered "street food," The Times notes, "Don't expect to dash in and out. Time is taken with each bun." Time well spent, indeed! 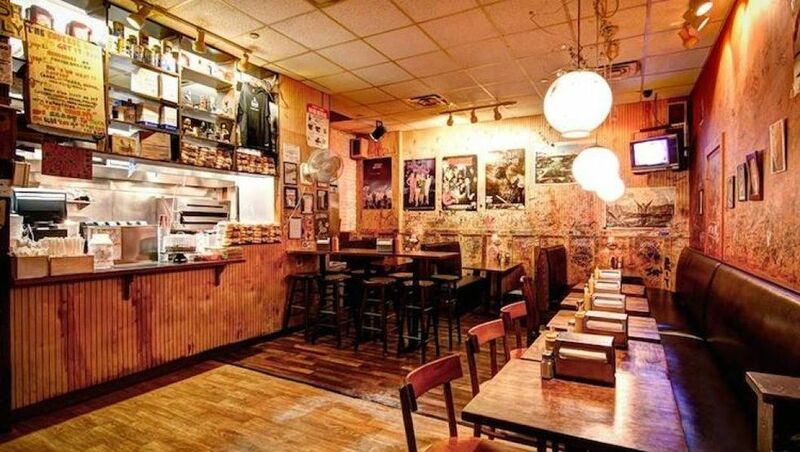 You'll find big burgers in a small space when you sneak past the velvet ropes (literally) and walk into burger heaven. Burger Joint is located at Le Parker Meridien, one of NYC's swankiest hotels, and when it comes to burgers, this hotel is hot (and juicy)! A simple yet scrumptious burger menu draws in big crowds to the 600-square-foot restaurant. If you love the idea of grabbing a burger somewhere better than a fatty fast food franchise, head to this high-end hotel and find out what all the buzz is about.